I am convinced or at least I theorize, that James Coleman is the father of Thomas “father” Coleman, they would be the ancestors of my husbands 2x great grandfather Michael Coleman. He is now listed on FIND A GRAVE. In the Civil War Pension, of his son William Thomas, the deposition lists him as “father 1780-1847.” He meets all the criteria, no other Thomas Coleman was found with the age in those years. Another thing about him in the census is he was about eleven years older than his wife “mother 1789-1831.” The second Thomas Coleman I found had a wife closer in age to him. Georgie Kratzer Allen had written a book: The Coleman Brothers Revolutionary War Militiamen of Pennsylvania and (West) Virginia. He lists in great detail the lines of the brothers Thomas Coleman and Michael Coleman, and also James who is just an after thought with his name and blank spots where his descendants are listed. I wondered about that for a long time since none of my Coleman Family fit into either lines. James is looking good as the grandfather, the reason there was no information, as I found out, is there is virtually no documentation about him. James has a Revolutionary War Pension file, but it is empty. My theory is he died young, but why did his wife not file for one? I have not found land records, he rented, nor have I found a will. In the same deposition mentioned above it states that the older children of Michael were Baptized by a circuit rider preacher, Reverend Lee. So on to see if those Methodist records could be found, what I gleaned was that records of the early church could be stored at Lycoming College, Williamsport PA. I heard from the Archivist and found that the circuit riders did not have a home nor kept records of the marriages and baptisms. He said that they just rode around the territory and stayed where they could including sleeping in the cold outdoors and weathering the seasons and predators. So, I am still back at the beginning on finding James Coleman. By luck I found a link to the Bohemian Census records from 1869. BOHEMIAN RECORDS it takes a bit of time to figure out where you want to go and then the next problem is trying to read the writing. The form seems to be set up with each little house in each village and in Rosshaupt/Rozavadov there are about twenty. In 1869 my husband’s second great grandfather left Bohemia headed for the land where streets were paved with gold. They first settled in Baltimore and then on to Millvale, Allegheny County, PA, USA Millvale is a borough bordering on the city of Pittsburgh. I found a Johannes Sperl, who was born in the 1820’s. Is this Christof Sperl’s brother? I have to check the years of birth of both but if Johannes was older and inherited the land that could possibly why Christof left the old country. Christof’s wife, Catherine Rauscher, also said she was from the same town but I initially did not find her family’s name. It is quite possible she came from a village close to that town. I will need a tiny town map and how to read Kurrent script. This is a link for the blog AnceStories: The Stories of My Ancestors by Miriam J Robbins. There are many links in the various counties of Pennsylvania and most of them were written in the late 1800's. I haven't been finding much lately, but the other day I was following the Shaky Leaves on Ancestry and came upon a Find A Grave for my great grandmother's (Bridget Naughton Dowd) sister, Margaret Naughton Stanton. A descendant of hers had transcribed her obituary to the site; and behold, it mentioned a surviving sister Mrs. John Connolly (Nora). There were a few Connolly men married with a wife named Nora in Allegheny County and I was quite excited to find her husband was John. That bit of information had been a mystery for about two years. I found a few census and the name of some of their children, the interesting thing was when I searched for their addresses I found they live close to each on adjacent streets. I was very excited, as with many of my other ancestors, Margaret's house is now a vacant lot. Now I will have to search the church records and see what else I can find ab out the sisters that I do not know. Today, would have been my parents seventy first Wedding Anniversary. They married in Goldsboro, North Carolina, on 4 February 1943. My father was in the Army and due to be shipped to Europe. I have often wondered when this picture was taken. My mother said it was their wedding picture. Nancy of MY ANCESTORS AND ME made a suggestion that I should Google the Pittsburgh newspapers to find the death day of Nora O'Donnell Avington nee Dowd to see if I could find her Obit. I find searching newspapers a daunting and difficult task. So I tried the collection one by one; what I found something I did not know. I found her name connected to the death of her son Michael Richard. I had him listed on my tree as Richard and he was a person that I was unable to find any information about him. Michael Richard was killed at Normandy on 8 June 1944. The date of this Obituary was 3 September 1948. I thought that the troops were buried in Normandy, and how did Nora get him back to the states for burial? Four years seems a long time to wait to bury your child. Michael O'Donnell was my father,Thomas Dowd, first cousin. His father, also Thomas Dowd, was Nora's brother. Further research told me he was a medic. Honor Role 507 Division You have to scroll down to the bottom of the list. Like a lot of newbies I took the date given for my grand Aunt as correct. I had not searched for the death dates for my grandfathers siblings because I (erroneously) thought they were correct. All but one was correct and that is my mystery. I was looking for the obits of my grand aunts and uncles to get my papers in order when I discovered that two of the death dates were the same. That would be correct if there had been a violent accident. I did a search and found that the date given was good for Nora's sister Mary Cole was correct and she was buried in St. Petersburg, FL. In Mary's obit it did not mention Nora or an accident. On a brighter note I did find Mary's Obit, she died 27 July 1983, there was no mention about parents, husband or siblings. Next I re-read the obit for her sister, Agnes Dowd Hendershot, she died 10 November 1980 and it mention her siblings as Richard Dowd and Mary Dowd Cole, of Florida. So, Nora died before 1980. I looked for an obit for Richard and did not find one, but he died 6 February, 1981. From the PA Historical Records Access Facebook page; Ancestry will begin to post the death records starting in April. They will be posted about twenty years at a time. The second batch in June and the last in November. All birth records should be on by September. I had been looking for my great grandparents, Patrick O'Rourke and Ellen Mortel, wedding date as well as his sister Mary O'Rourke and her husband Daniel Rogan. Today I was searching for a client and came up the marriage of Daniel Rogan and Mary O'Rourke. The marriage took place on 5 September 1878 at Sacred Heart RC Church in the Shadyside section of Pittsburgh PA. Here is a picture of the inside from the Archives of the Diocese of Pittsburgh. It listed his parents, John and Margaret Rogan and her parents Denis and Mary O'Rourke. But sadly it did not give the last name of the mothers. Patrick and Ellen were not married there. But I did learn Daniel Rogan parents name and I did learn the date of their marriage. John Rogan and Ellen Dugan were the witnesses. So it appears that perhaps Daniels brother or cousin was also here in town. I was really sad that my great great grandmother's maiden name was not listed. That has been evading me for years. Another picture of the outside, also from the Diocese of Pittsburgh. It is difficult to believe that she has been gone for nineteen years. I suppose I am lucky that I was the oldest and knew her the longest. I still wish I could call her and talk to her. I suppose that never goes away. I had not worked on anything for a while. I was examining my husbands ancestors, his Bowser line to be exact. This line is from his paternal grandmother, Mary Sperl. 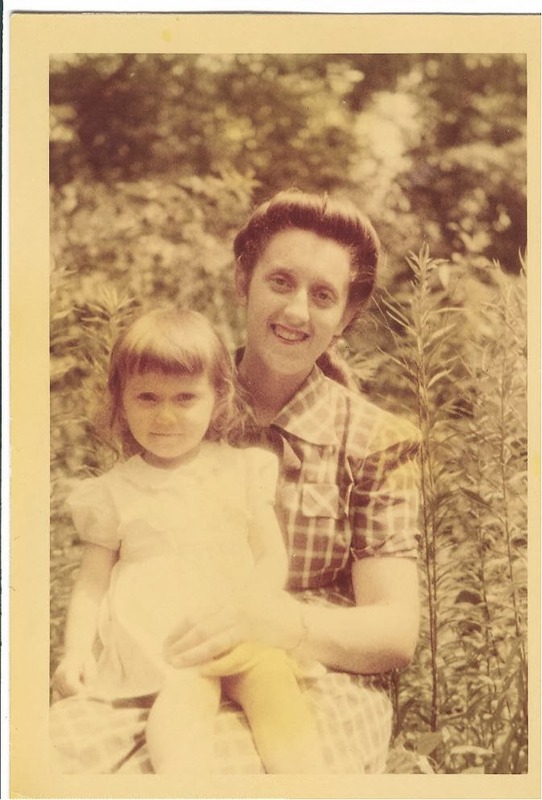 Her mother was Olive Bowser and from ARMSTRONG COUNTY PA. I had a long search for Olive and had not done too much work on this line for about a year or so. I decided to check them on my Ancesstry tree and found a lot of leaves and realized that I knew nothing about Baltzer/Balthasar Reinwald. Seems that he belonged to a group called the Schwenkfelders who left Silesia, Germany in 1733 because of religious persecution and finally settled in Montgomery County, Pennsylvania. I even found him on BALTZER REINWALD on Find a Grave. It has Anders as his last name, but searching as I might I believe that is not true. I found two woman listed as his wife, one being Anna Anders and on a tree a woman Elizabeth Yeakel as his wife. This requires some searching on my part. I still think his ancestors are more interesting than mine. This is an interesting thing to pursue . More on them later, but Baltzer appears to be his 6th great grandfather. I have been unable to connect Baltzer and his family to the Bowser Family, still does not prove or disprove, I just need more information.